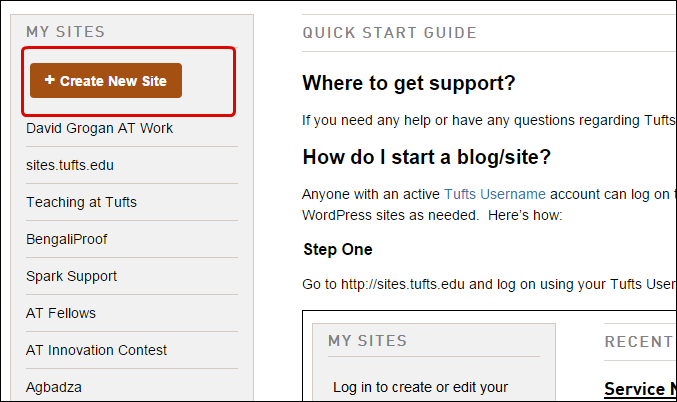 Quick Start Guide | sites.tufts.edu - Tufts Self-Serve Blogs and Websites. If you need any help or have any questions regarding Tufts WordPress please email edtech@tufts.edu. How do I start a blog/site? Go to http://sites.tufts.edu and log on using your Tufts Username and Password. After successful login click on the “Create New Site” button that appears toward the top left of your browser window. Fill out the new site form. a. Provide a site address. b. Provide a site title. 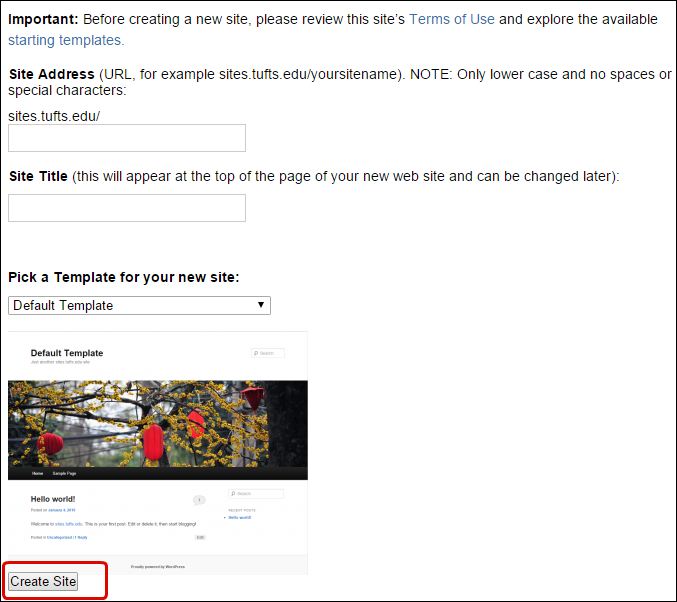 c. Select a starting site template from the drop down list. 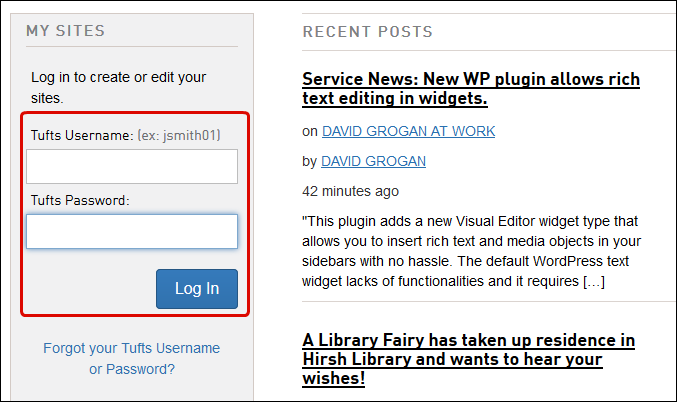 d. Press the “Create Site” button. Celebrate the birth of your new WordPress site! Your new site is private by default. Meaning only you have access to it until you either add other Tufts users or change your site’s privacy setting. It is recommended that you keep your site private while it is under construction. When you are ready to launch it to the public (if that’s what you want to happen) you can do so at any time. Even if you are keeping your site private it is NOT recommended that you use WordPress for publishing highly sensitive information. WordPress is a popular platform and because of that it is a target for hackers and ne’er-do-wells and our instance IS NOT behind any special security firewall.